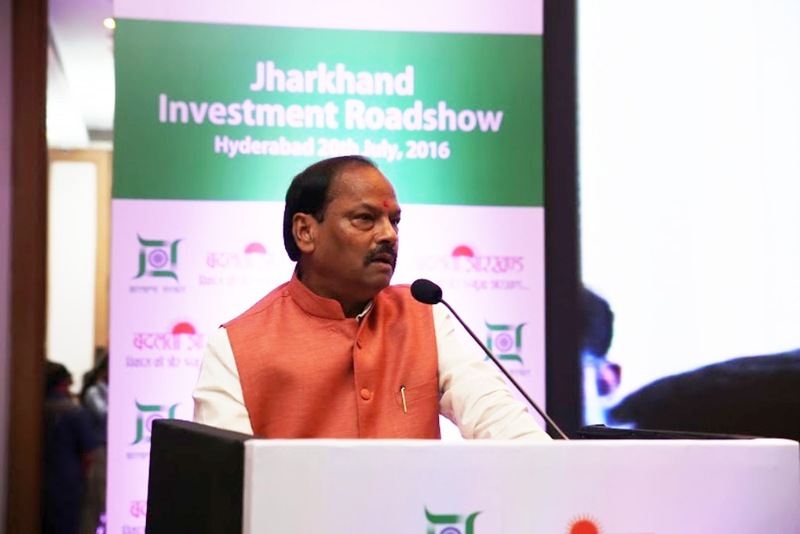 Hyderabad, July 20, 2016: Chief Minister, Shri Raghubar Das emphasized that the government is totally committed to protecting and securing the wellbeing of investments, public life and property. We whole heartedly welcome the investors from Hyderabad to come to Jharkhand and invest in the State which has huge scope and potential. Through various responsive governance initiatives, we have ensured perfect industrial harmony in the State. The DIPP assessments on Business Reforms prove our unparalleled progress on labour reforms. It is testimony to the culture of the State’s people and their outlook towards organized systems of livelihood. In a bid to boost the 'Make in India' initiative of Hon’ble Prime Minister Shri. Narendra Modi and to develop high value investment opportunities in Jharkhand, Chief Minister Shri. Raghubar Das said that the govt. will hold the maiden 'Jharkhand Global Investors Summit' on 15–16 February, 2017 in Ranchi. Discussing the outline of the summit, he said that it aims to establish Jharkhand a Premier Investment Destination for both foreign as well as domestic investors on the basis of a strong macro-economic system and equitable and sustainable growth. It is envisioned to be a platform for new ideas and innovations for future investment opportunities. It also aims to enhance livelihood opportunities for the people of the state. The Government has ensured that these opportunities are adequately presented to prospective investors in the form of a shelf of projects publication, representing the ‘low hanging fruits’ that early bird applicants can get on board with. The Chief Minister reiterated that while other states go after numbers, Jharkhand will not quantify it’s commitment in numbers but with action oriented leadership and handholding for investors by the administration. It is remarkable that the Government of Jharkhand today pitched opportunities to invest in the state’s diversifying economic landscape. A highlight of the day long road show here was the signing of an MoU with Oracle for imparting IT–ITeS skills training through ‘Oracle Academy’ and an MoU with Shree Cement which will attract 600 crores of investment for a cement grinding unit. 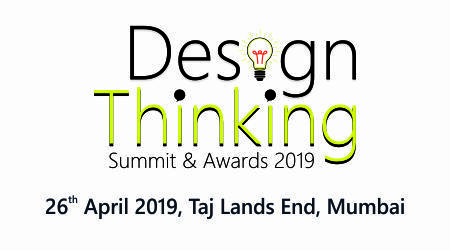 A series of detailed presentations by government officials took the audience through the government’s priorities and preparedness to absorb investments in areas such as energy, healthcare, urbanization centered on a smart city vision, higher education and skills development. Chief Secretary Mrs. Rajbala Verma said that the state is gaining momentum in the capable leadership of Chief Minister Shri Rahgubar Das. Additional Chief Secretary, Department of Energy Mr. R. K. Srivastava said that with abundance resource and the steadily improving macro-situation in the energy sector, the government is confident about achieving the status of the country’s energy hub by 2019. A total of 12.3 GW of additional capacity is intended to be installed by 2018, with the Government of Jharkhand responsible for over 11 GW. On the renewable front, the Jharkhand State Energy Policy- 2015 intends energy capacity addition of over 2.6 GW by 2019. While presenting the Govt.’s view on Healthcare and Higher Education, Additional Chief Secretary, Department of Health Mr. K. Vidyasagar focused on tangible low hanging fruits in institutional development. He said that while primary health indices of Jharkhand have seen steady improvement over the years, the state is keen to set up super-speciality hospitals, medical colleges, food and drug testing laboratories, nursing colleges, paramedical institutes and other health services under PPP model fortified with well planned and focused incentives. Shree Cement’s Managing Director, Shri. H. S. Bangur congratulated the Chief Minister on his endeavor to proactively reach out to the investors across India and abroad. He expressed hope that Shree Cement will contribute in the progress of the state. Upon signing the MoU he also shared his experience with the state and appreciated the effectiveness of its Ease of Doing Business model for investment. Mr. Srinivas Koppolu, CEO & Managing Director, Tata Business Support Services, spoke of the detailed planning that had gone into building up the service sector ecology. “The results of this careful planning are fast materializing, and I’m confident that the state’s urbanization process is on the right track. This is a crucial project for Eastern and Northeast India. I am very happy with the talent that is available in the state. The commitment and productivity is a positive sign,” he said. The flagship event of the “Momentum Jharkhand” campaign is scheduled to take place in Delhi on August 4, 2016. - Human Resource Hub: Home to several premier institutes like XLRI and NIT Jamshedpur, IIM Ranchi, Indian School of Mines Dhanbad, BIT Mesra, etc. Jharkhand is among India’s most important human resource hubs. Additional Chief Secretary, Department of Finance Mr. Amit Khare, Principal Secretary, UDD Mr. Arun Kr. Singh, Industry Secretary Mr. Sunil Kr. Burnwal along with senior officers and dignitaries of various industries were present in the conclave.